Living in the southern states, most people are pretty familiar with the need for hurricane preparedness, such as getting physical supplies like food, medications and water. But many people aren’t as knowledgeable about what it means to be financially prepared for hurricane season. This short article is going to walk you through 5 ways that will help you strengthen your preparedness muscle. Property and casualty insurance is basically taking full inventory of everything you have, and looking at what it will cost to actually replace the item in the case of a disaster. For example you would want to write out how much it would actually cost to replace your refrigerator verses what your current refrigerator is worth. Otherwise, if it gets ruined in a hurricane, you won’t actually have enough money to replace it. There are many different options and policies that are available however, you just want to make sure that you do in fact have insurance in place for these kinds of natural disasters. Another way to help keep yourself financially prepared is to have direct deposit set up from your employer right into your bank account. If you are retired, you will want your pension and your social security checks sent right into your account. This eliminates the risk of you not getting your money if you happen to be displaced from your home. Making these kinds of transactions electronic and automatic will help you to maintain an inflow of money when you need it most. Knowing the location of your important documents will be an important step in being prepared for a hurricane. Keeping all of these things in one place will help you to grab-and-go with them if need be. These documents include: the deed to your home, health and property insurance documents, social security cards, banking and car information. All of these things you will need to help identify yourself and your possessions if you happen to be displaced. Keeping money on hand is always a good idea especially during hurricane season. 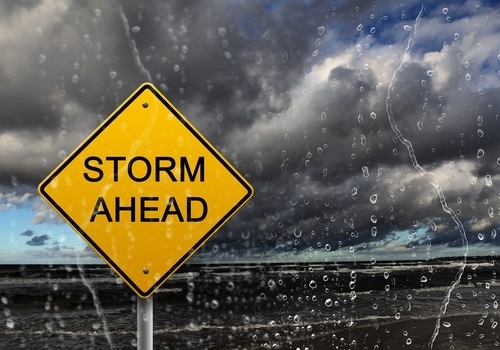 If a storm comes through, it can be hard to get to the bank in a real money emergency. So having some cash on hand is going to be helpful to cover unexpected costs that could arise. To go along side both having your documents in order as well as having money on hand, it is always a good idea to have a waterproof and fireproof safe in your home. Placing your cash and your documents in this safe makes it easy to just grab the safe and go if you need to stay clear of a forceful hurricane. As you think about getting ready for the next hurricane season, you can be fully equipped on all sides to take on whatever might come your way. Being as prepared as you can be will help immensely in the case of an emergency. Call GPSWealth.net at (832) 689-5746 with any questions on how you can be better prepared with life insurance, financial needs or the like.